CAMBODGE – Mahendraparvata - The lead archaeologist behind a project in Siem Reap studying medieval ruins around Kulen mountain on Sunday sought to clarify international media coverage proclaiming the “discovery” of a lost city in the area, as researchers have known about the existence of the centuries-old city for decades. On Saturday, the Sydney Morning Herald ran a “World Exclusive” claiming that archaeologists had, “in a stunning discovery,” uncovered an ancient buried city known as Mahendraparvata on Phnom Kulen plateau, near Angkor Wat. But Jean-Baptiste Chevance, who is director of the Archaeology and Development Foundation and the project’s lead archaeologist, said his team had actually used cutting-edge technology to unveil some of the site’s buried secrets. What was exciting about the project, Mr. Chevance said, was that by using Lidar technology—an airborne laser technology used in archaeology to help map features that may be indistinguishable on the ground and reveal micro-topography—his team could clearly see a whole urban network linking the temples. “The main discovery is a whole network of roads and dykes that were linking monuments that were already known,” Mr. Chevance explained, adding that through Lidar technology the team did uncover about 30 more potential temples, most of them piles of bricks lying in the dense vegetation. CHINE – Guangzhou - Guangzhou Metro is facing a public outcry after contractors destroyed a group of ancient imperial tombs in the Menggang district during construction of Line 6 of its subway system. The tombs, ranging from 2,200 to more than 3,000 years old and still being studied by archaeologists, were wrecked by excavators on Friday night. The protected site, on the eastern slope of Da Gong mountain, had been sealed off by the Guangzhou Archaeology Research Centre, with warning signs posted and red lines marking the protected area. One of the archaeology technicians responsible for the site, Miao Hui , said: "At least five of them were destroyed … this time. They date from the late Shang dynasty to the Warring States. This is not the first time the construction company has destroyed ancient tombs. The area they dug up was sealed by red lines. They even specifically moved our archaeological tools aside before blazing in." INDE - Baidpur - The Department of Archaeology and Museums of the state government has recommended trial digging of the mound at Baidpur in Murshidabad district soon where coins, reportedly belonging to 4th century AD Gupta age, were found. A four-member team from the department, headed by deputy secretary Amal Roy, had visited the area last week to examine the mound after more than 50 coins reportedly dating back to the reign of Chandragupta II and Samudragupta were found in the soil. The team has already submitted its report to the state government. "There is a than (an uncovered place of worship) of Shellkali (a local form of Goddess Kali) on the mound, which acts as a deterrent to the local people, and they usually avoid digging up and taking the soil for sale. However, even the than could not prevent people from digging the area. We have examined the place and have recommended for its trial digging soon,'' Roy told The Indian Express. He added that the team also found terracotta and other artefacts from the 3rd and 4th century. "We have brought the soil for testing. We have also suggested that the 11 recovered coins be kept at the department's museum in Behala instead of the district treasury where they are kept at now,'' Roy said. TURQUIE – Bursa - Bursa Governor Şahabettin Harput has announced that the excavations to unearth a 500-year-old basilica will begin this month. The basilica was used for worship in the early years of Christianity. After the acceptance of Christianity by the Roman emperor Constantine, many buildings in settled areas turned into places of worship. One of these buildings, the basilica being excavated, later became one of the most important stations on the pilgrimage to Mecca. “We have found many pieces of heritage in this area around İznik, which is one of the cities where Christianity took the shape it has today. Bursa has a history of 8,000 years. The excavations and studies for the basilica are continuing with the collaboration of the Bursa Governor’s Office, foreign authorities, academics, and the Culture Ministry. TURQUIE – Karakeçili - The remains of a house dating back 3,500 years have been uncovered during excavations in the central Anatolian province of Kırıkkale's Karakeçili district. Headed by Kimiyashi Matsumura, a Japanese archaeology professor at Kırşehir University, the excavations have been unearthing antiquities and ancient settlements since 2009. The area has been declared a protected site, and the police and gendarmerie provide security. 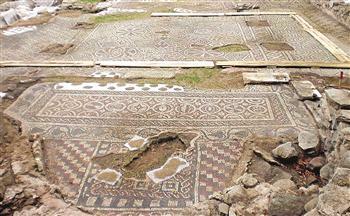 Kırıkkale officials are planning to turn the site into an open museum after the digs are finished. Stone houses were discovered during the excavations. Matsumura told reporters this week that the ancient settlements at the site date back to the Hittite civilization. “This is part of one of their big cities. Kızılırmak [River] passes by it. All kinds of commercial routes were built around Kızılırmak at the time. This city was established along a very important commercial route. I believe this research will culminate in important results,” the archaeologist said. 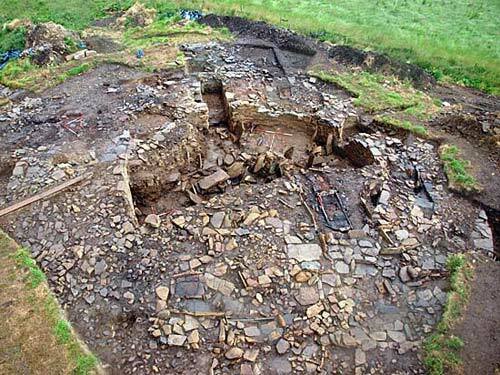 ROYAUME UNI – South Ronaldsay - Archaeologists, led by Orkney College lecturer Martin Carruthers, return to an Iron Age settlement site in South Ronaldsay on Monday. 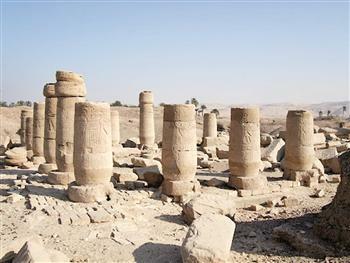 The 2013 excavation at the Cairns is due to run for four week, ending on July 12. Overlooking Windwick Bay, the Cairns is a massive archaeological jigsaw puzzle, with a sequence of Iron Age buildings, representing centuries of use. The site threw up an interesting viking surprise last year — as the archaeologists were working down through the archaeology in the smithy building, they uncovered a steatite (soapstone) sherd and steatite spindle whorl. Although the nearest source of steatite is Shetland, it appears that these two items were crafted from Norwegian steatite — which is significant because both were in sealed deposits underneath a hearth that, according to archaemagnetic dating, appears to have been last used around AD600. While this doesn’t necessarily push back the date of the Norse arrival in Orkney a few centuries, it does point at early links with Scandinavia.